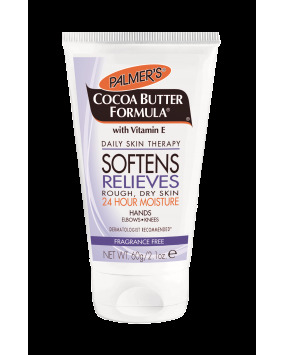 This rich, concentrated cream is an advanced moisturiser that softens, smoothes and relieves very dry skin. Fragrance free, it is ideal for sensitive skin. Enriched with Vitamin E, it also helps blend marks and scars. This handbag size tube is perfect for moisturisation on the move. 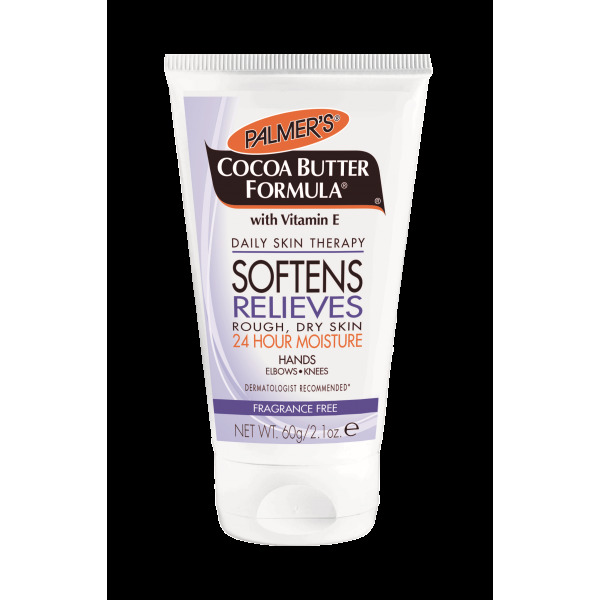 Apply Palmer's Cocoa Butter Formula Fragrance Free Concentrated Cream as often as needed.